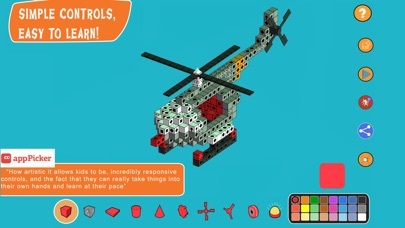 "PROMO CODE GIVEAWAY" For Updated Blox 3D. Discussion in 'Promo Codes and Contests' started by Karthik R., Sep 30, 2015. 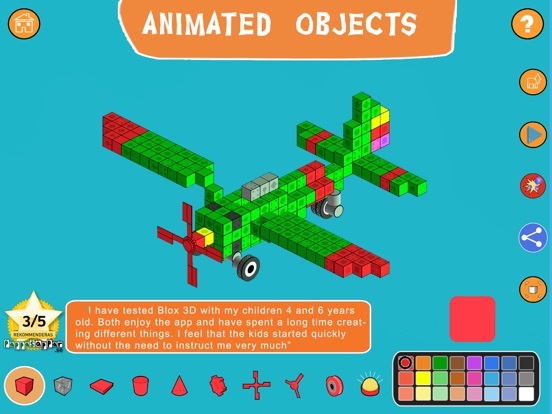 "Cool little app that allows kids to build their own 3d block creations...” Shayna,Mommyoutsidethebox.ca “...Super nice 3d building blocks app. 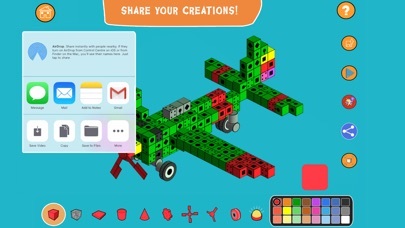 simple to use allows creativity to flow in our little builders...” Michel,apps4kids.net "Parents have commented on how artistic it allows kids to be, incredibly responsive controls" apppicker.com **Downloaded more than 2 million times on iOS and Android in Creativity and Education categories** Blox 3D is a fun and easy way for kids to learn 3D modelling. 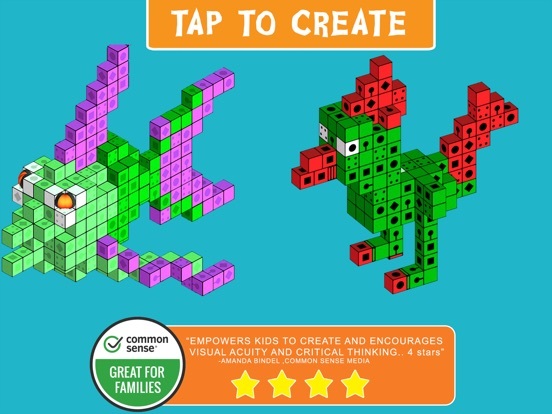 Create beautiful objects in a simple and intuitive manner using tap and double tap to delete. 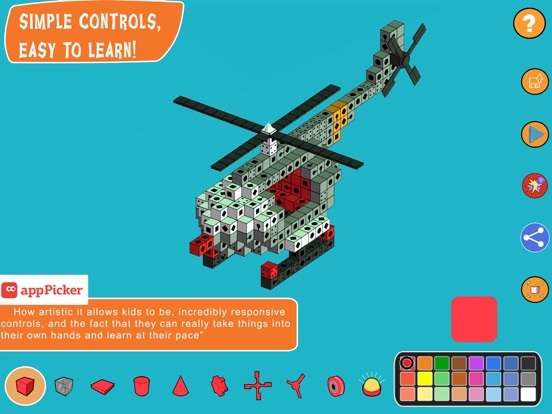 Add animated objects like gears,propellers and wheels to make them come alive. 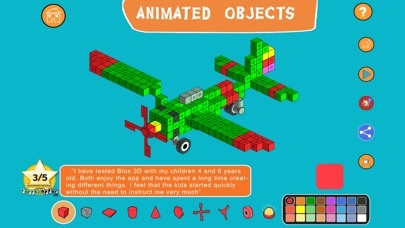 Blox 3D has been designed to develop children's creativity and visualization skills. *Designed for 5-8 yrs. age group,intuitive controls and simple menu. *Turntable mode rotates and builds 3D models as a teaching tool. *No IAPs, No Ads and NO TRACKING. *No sounds, flashy animations or distracting pop-ups. 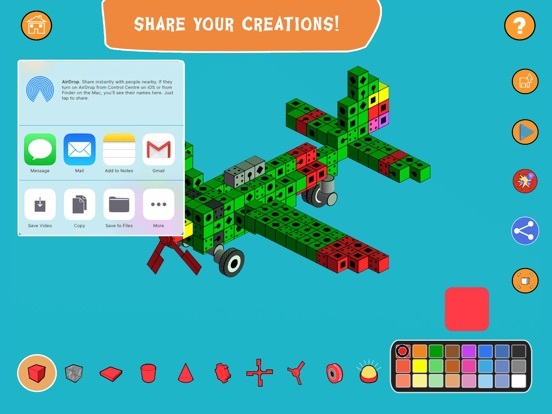 *Sharing functionality so kids can create and share turntable movies of their creations. 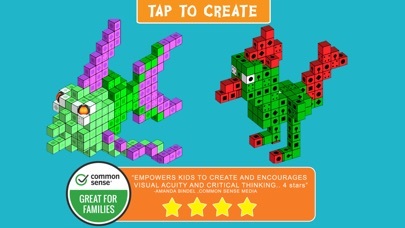 Help us to promote our updated Blox 3D.